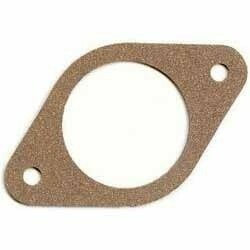 Cork gasket material is a highly compressible material suitable for low and medium bolt pressure applications. It also has good flexibility, resilience and good resistance to fuel and oil. These characteristics make cork sheeting a popular general purpose gasket material. Cork jointing is produced by blending the major components of high quality cork granules with synthetic or natural rubbers. Rubber binding agents add resilience and mechanical strength to the product. Chemical resistance of a particular grade is enhanced by the elastomer used.